This program focuses on the rich interchange of literature, politics, history, art, theater and sports in the Republic of Ireland and Northern Ireland. 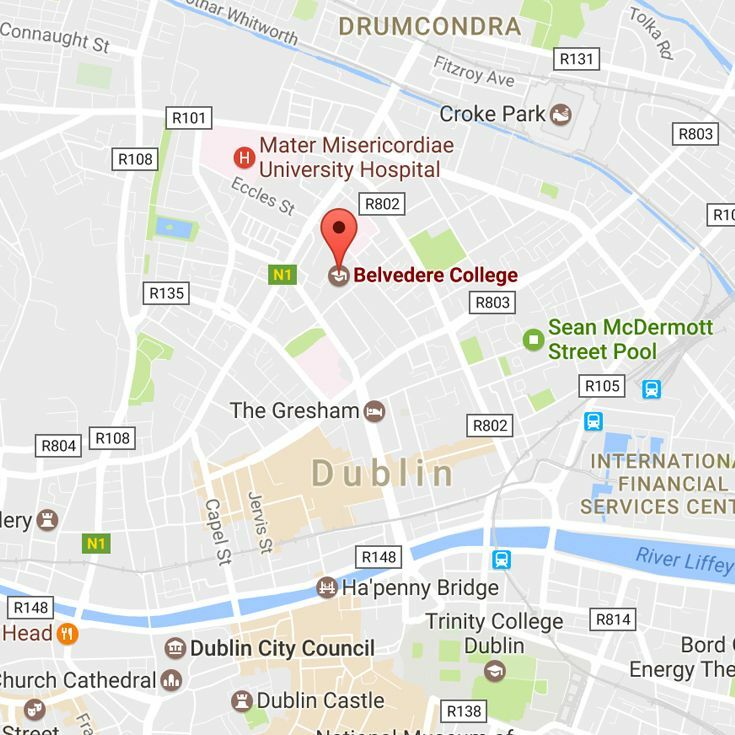 On a daily basis, students attend classes as well as explore the dynamic city of Dublin and surrounds. Highlights include: University College Dublin, Trinity College, The Irish Writers Museum, St. Patrick's Cathedral, Glasnevin Cemetery, The Irish Parliament, The National Gallery, The Royal Dublin Society Rugby Grounds, The Abbey Theater, and Boston College Ireland. Participation in Belvedere’s unique “Community Care” program will allow our boys to continue the Jesuit tradition of service and justice for all. Students will receive academic credit for this seminar. Students are eligible to travel during their sophomores or junior year. Juniors may receive preference and students who are able to host a Belvedere student may be given priority consideration. Because cultural immersion is such an important part of our exchange program, and in an effort to keep our cost reasonable, our students stay with host families during this exchange program. BC High students who host an exchange student in their home and participate in an international seminar have the most fulfilling experience. For this reason, it is the expectation of all students who hope to travel abroad to serve as a host family. Whenever possible, a BC High student will stay with the family of the student who may have previously stayed in his home. ﻿The group from Belvedere usually arrives mid October and stays for 2 weeks. Estimated at $2,100 - Cost includes tuition, board, meals, travel within Ireland, and entrance fees. Expenses that are not included are: round-trip air travel, personal items, and services such as passport fees, phone calls, and personal spending money. (Final cost is determined by participation.) Financial aid is available through the application process. This program is for two weeks in April. Students will travel during April vacation and miss an additional 5 - 8 days of school before or after April vacation. Students will be responsible for meeting with teachers to create a personal plan for assignments and class time missed while in Dublin.